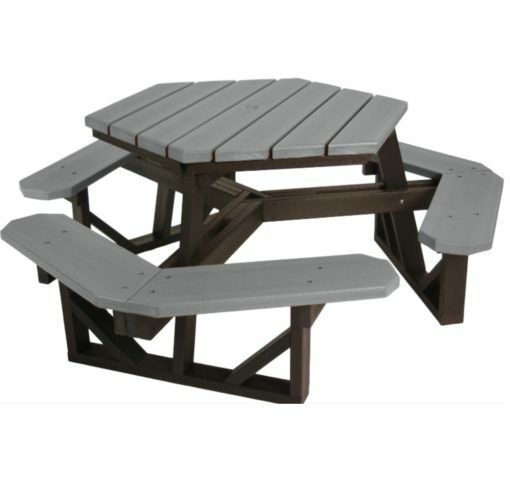 Max from Omaha, Paul from South Hackensack & 193 others bought this item recently. 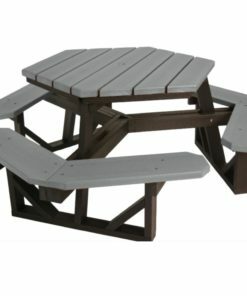 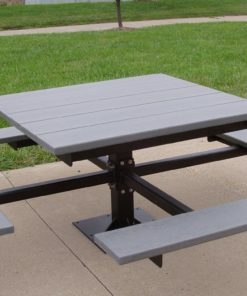 This is a commercially durable picnic table made of 100% recycled plastic. 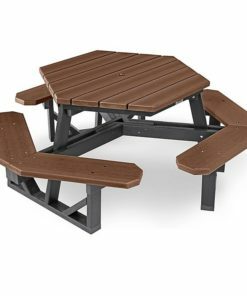 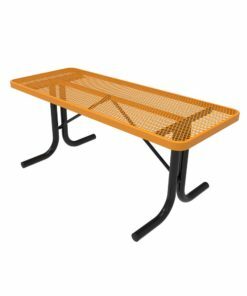 Our most popular table in our recycled plastic picnic table line, it will not rust, rot, warp, crack, or splinter. 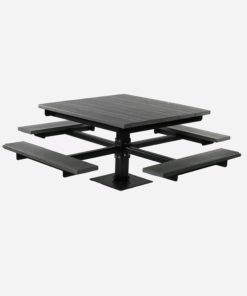 These tables require next to zero-maintenance and will look great for decades. 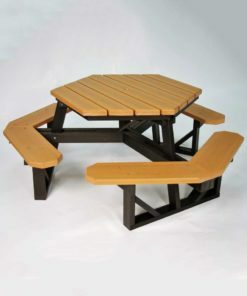 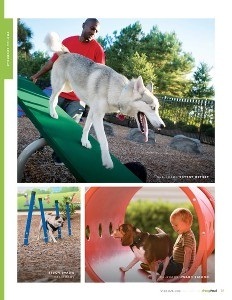 All of our premium recycled plastic products include UV inhibitors that will protect the recycled plastic from fading. 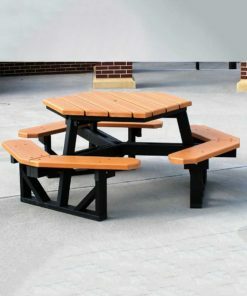 Use the hexagon picnic table in office buildings, municipal areas, schools, parks, restaurants or more. 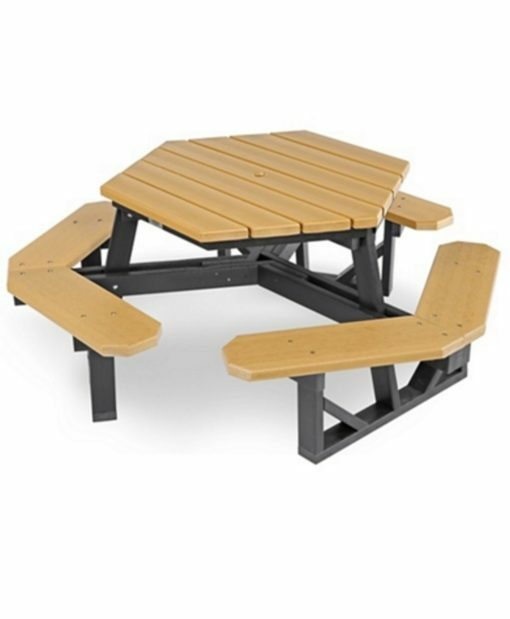 This hexagon table is a heavy-duty commercial-grade product made for public use. 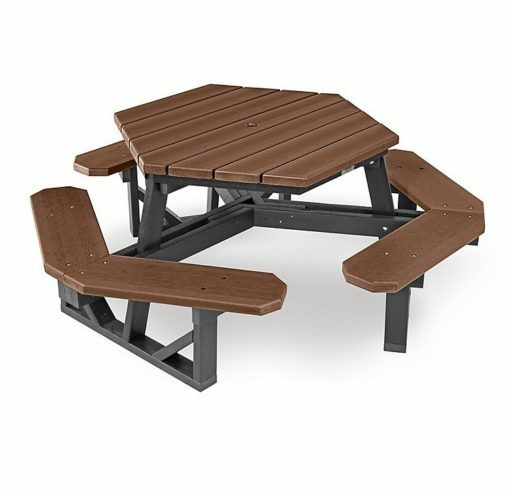 It comes with a 1 3/4" umbrella hole standard and surface mount pre-drilled holes countersunk to make for an easy installation. 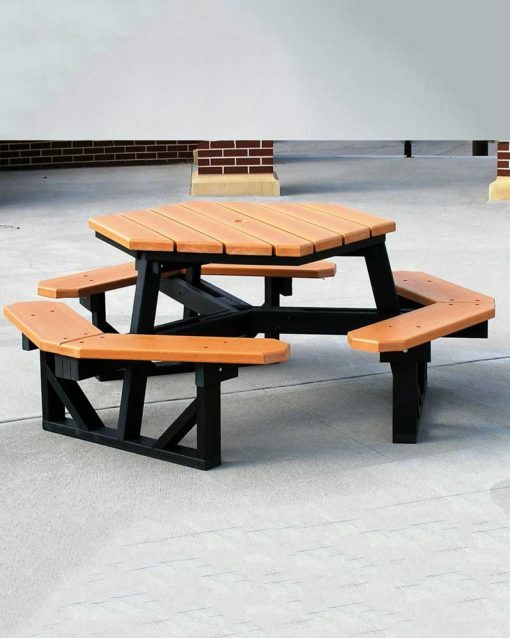 Assembly hardware is included. 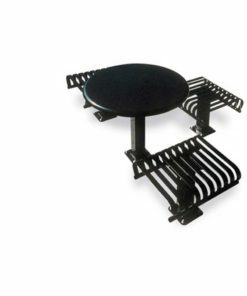 Mounting hardware kit is available to secure to a hard surface. 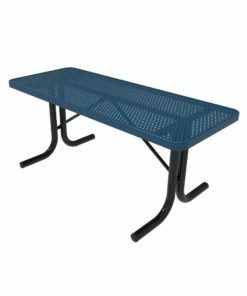 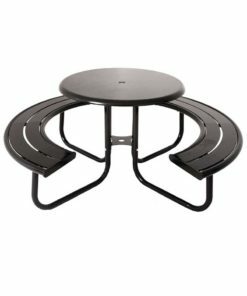 Top Length: 42" | Table Top Width: 42" | Seat Height: 17" | Seat Width: 9 1/4"
ADA Version features a modified frame and one less seat. 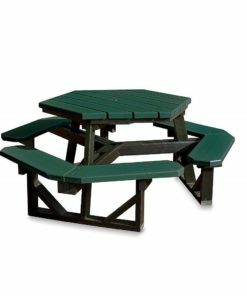 Choose from cedar, brown, grey or green colored planks for your table. 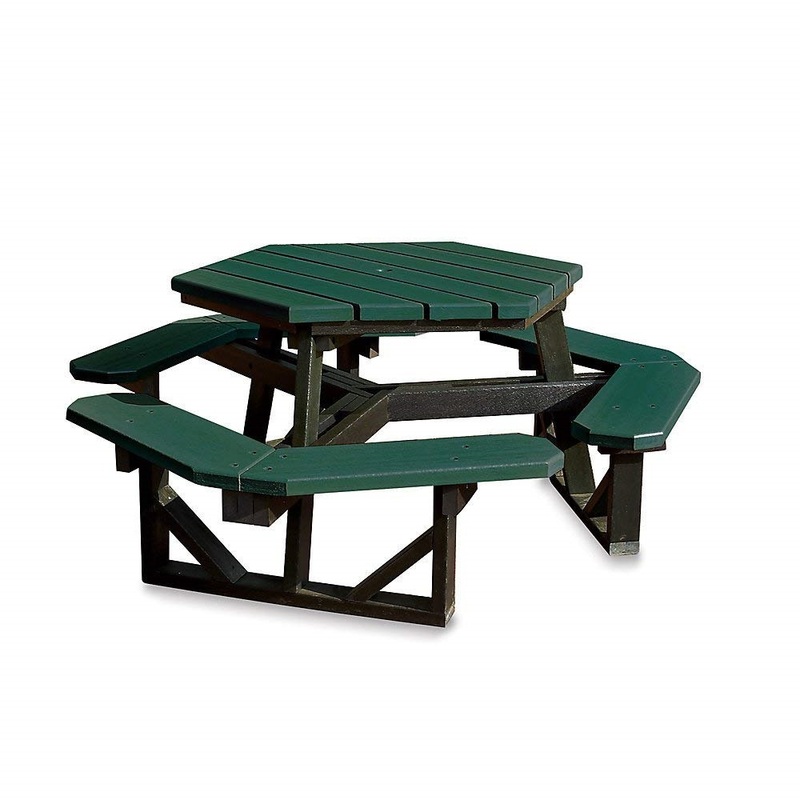 Bottom frame/base available in black or green.